This young bourbon is sourced from Indiana and blended several times by our distiller. A blend of young bourbon and some 5 year old bourbon, it drinks remarkably well, like a fine “older” bourbon should. A mash bill of corn, rye, and barley, this whiskey is “proofed up” by our distiller to 90 to help define the burnt sugar nose, and enhance the subtle notes of butterscotch and toffee that fill the mouth. 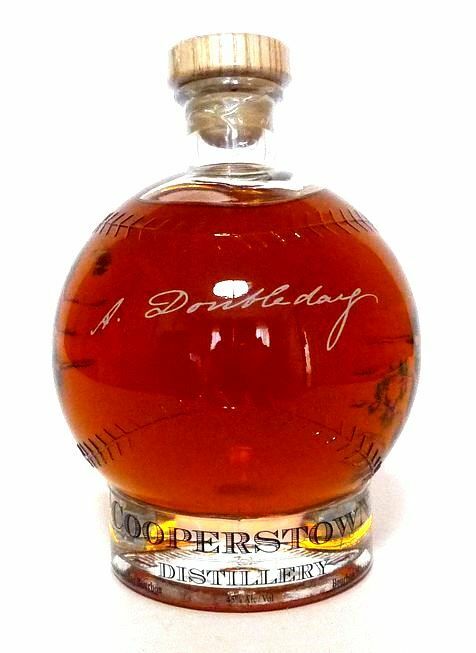 Filled in our patented, specialty baseball decanter, this bourbon whiskey makes a great sipping spirit. Sold as a single bottle, this clever package makes a great gift for any occasion.